A trio of industry-leading insurance subsidiary firms relied on PMAlliance to apply our proven portfolio management methodology to gain control over their existing projects and ensure they could meet upcoming compliance deadlines. 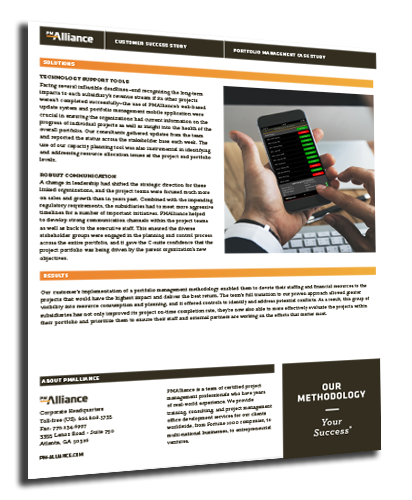 Learn how PMAlliance's Duration-Driven Methodology helped develop this project while continuously improving their portfolio performance. Download the case study by filling out the form.